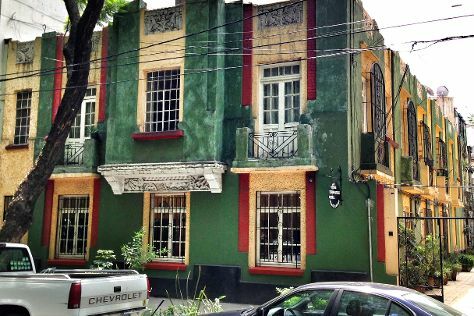 You've added Zona Rosa, Xochimilco, Museo de Cera de la Ciudad de Mexico, and other attractions to your itinerary. Get a sense of the local culture at Chapultepec Park and Palacio de Bellas Artes. Get in touch with nature at La Condesa and Piedra Herrada Sanctuary. Venture out of the city with trips to Tula (in Tula de Allende), Zona Arqueologica Teotihuacan (in San Juan Teotihuacan) and Archaeological Zone of Xochicalco (in Cuernavaca). There's still lots to do: delve into the distant past at Templo Mayor Museum, take a stroll through San Angel, see the interesting displays at Frida Kahlo Museum, and appreciate the extensive heritage of Zocalo. To find ratings, maps, and other tourist information, use the Mexico City custom trip planner. In June, plan for daily highs up to 28°C, and evening lows to 16°C. Finish your sightseeing early on the 13th (Wed) so you can travel back home.